Hi there and I hope you are doing well. Here's a short report of our trip to Gjakove, Kosova last week. We arrived in the sunshine at Pristine airport and were welcomed by the Victory church team. 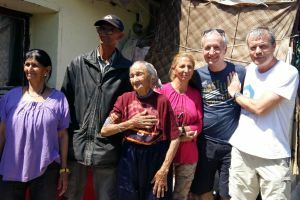 Our team of four worked alongside the Victory church team of six visiting many poor families in the local communities. We also visited the Roma colony. Our aim as always is to present The Gospel and show God's love to everyone we meet including the poor, the widow and the orphan. We packed so much into one week and the response was incredible. We brought groceries for the families we visited and gave out humanitarian aid in the form of clothes, shoes and small gifts of money. 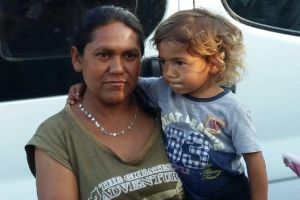 Victory church support and encourage over 100 families in these desperate situations and during our time there we saw many living in complete hopelessness and poverty. We prayed for every family we met and tried to help in any way we could but told them that God is the only one who can really meet their needs spiritually and provide His hope and Peace for anyone who will come to him. We had an amazing response from many. There are still major problems in Kosova including unemployment, poor housing, people trafficking (some young girls are being essentially sold by their fathers into arranged marriages they do not want). Many families also are seeking to live in other European countries as refugees. However many are being returned to Koosva with no place to live and all their possessions gone....the dream of a better life over. The political and economic situation in Kosova is getting more difficult daily with recent IMF reports telling Government they must cut all benefits. Our team of 10 had great times of fellowship and encouragement. I've been going there for almost 12 years....the need is still great. BUT the Lord is working in wonderful ways through the local church. 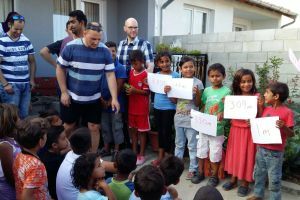 We did kids and youth clubs and with the Roma kids in their community. We loved the widows/ladies group which is growing beyond belief and to hear so many great stories of their lives being changed. Thank you for supporting our work in Kosova. 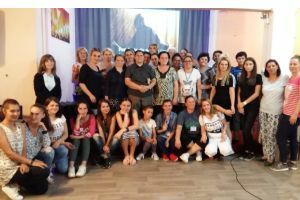 We also thank Pastor Faton and his team for letting us be part of the great work they do in Gjakove.